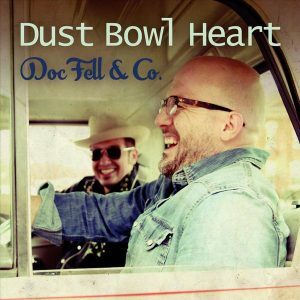 DocFell & Co. – Dust Bowl Heart – Album Review | The Ark of Music – The best music in the world…you never knew existed. 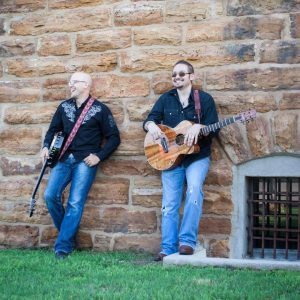 Conceived and born from the pain and heartache of lost love; Tahlequah, Oklahoma’s DocFell & Co. have been making their brand of high quality, foot-stompin’, back-porch country music since 2011. It all began when Dr. John Fell (a general practitioner by day and wildly expressive singer-songwriter and acoustic guitarist by night) found himself in a new town—freshly divorced. That period of time saw DocFell writing songs as aggressively as he ever had. Soon after, the decision to record his first album (2014’s Scissor Tail) resulted in the serendipitous meeting between he and Kyle Brown (artist/musician, electric & acoustic guitarist and mandolin master), and the core of the band was formed. The completion of their latest album, Dust Bowl Heart, saw the additions of John Barker (electric bass guitar), Kevin Rose and Joe Sloan (percussion). One need not go too deep into this new project in order to hear and feel the influences of the great Johnny Cash, Woody Guthrie, and others. Lonesomeville, Damn. This is some creative new country. The first :54 opens with a wildly unexpected combination of ambient and lo-fi vocals, strings, and a few plucked notes. Then the beat drops and takes everything in an entirely different direction. That contrast is straight delicious! 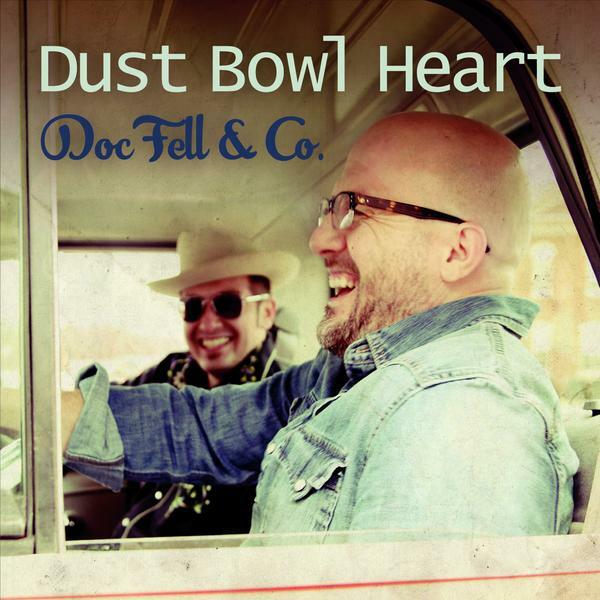 The album’s title track, Dust Bowl Heart, offers the kind of remedy for a broken heart that only bluegrass can provide. However, take a moment to do more than bob your head or tap your feet. Take a listen to the picking skills going on. It’s fantastic. Dancing the line between Swing and Soul-infused Americana, This Machine puts a noteworthy stamp on DocFell’s sophomore effort. Specifically, I’m diggin’ the background vocal harmonies, and of course once again, that six-string pickin’. In the end analysis, Dust Bowl Heart certainly offers the clever lyricism and tangible, coherent subject matter that make it quite easy to enjoy over and over again. However, there’s more here. Their’s is the kind of fluid skill and musicianship that is easy to overlook. Or perhaps more accurately stated, it’s easy to take for granted, it’s easy to miss because it’s so smooth, so flawless. DocFell & Co. make it seem so easy. Thus, these songs—for all of their raw, simple character and likability—are also rich and complex with the work of some very talented and disciplined musical craftsman. What it boils down to: This is an album for fans and musicians alike. 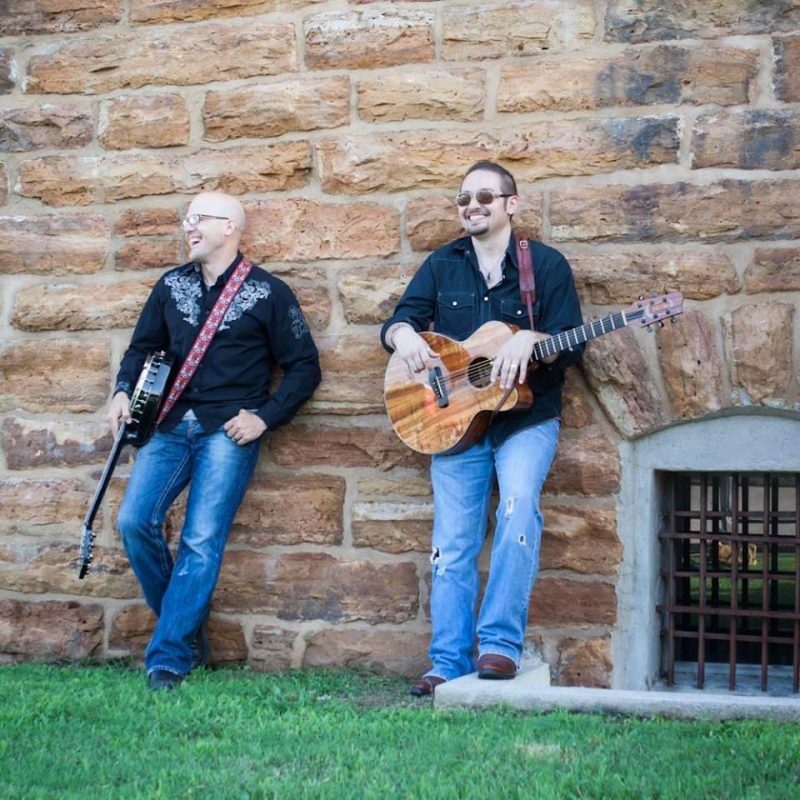 BELOW, you can listen to DocFell & Co.’s album, Dust Bowl Heart, and connect with their website and social media platforms. Please support DocFell & Co. by visiting them online, and playing, downloading, and/or purchasing their music. And, as always, thank you for supporting real music!